Chelsea boots are a wardrobe staple for every stylish gent. Thanks to their timeless shape and design, these simple yet sophisticated shoes are a must-have for men of all ages and styles. From cool and relaxed suede options to classic leather looks, Chelsea boots are versatile, comfortable, and fashionable. Whether you’re rocking a casual weekend look or dressing up for a semi-formal function, these shoes make an excellent choice. To nail your Chelsea boot look, you just need to know which pair to choose and what will work best them. Luckily, we’re here to help with that and can show you how to wear your Chelsea boots in style. 1 What is a Chelsea Boot? What is a Chelsea Boot? A Chelsea boot is a footwear style that dates all the way back to the Victorian era. The shoe was invented by J. Sparkes-Hall, who was a bootmaker for Queen Victoria. Chelsea boots, which are designed to slip easily on and off the foot, are laceless and feature an elastic or vulcanised rubber side ankle. Originally made for both men and women, the ankle-high style traditionally features a small heel and tab on the back to make sliding the boot on easier. The boot’s current name is thought to stem from its popularity in the Chelsea region of London during the ’50s and ’60s when mods, the Beatles, and even the Rolling Stones all rocked the shoe style. 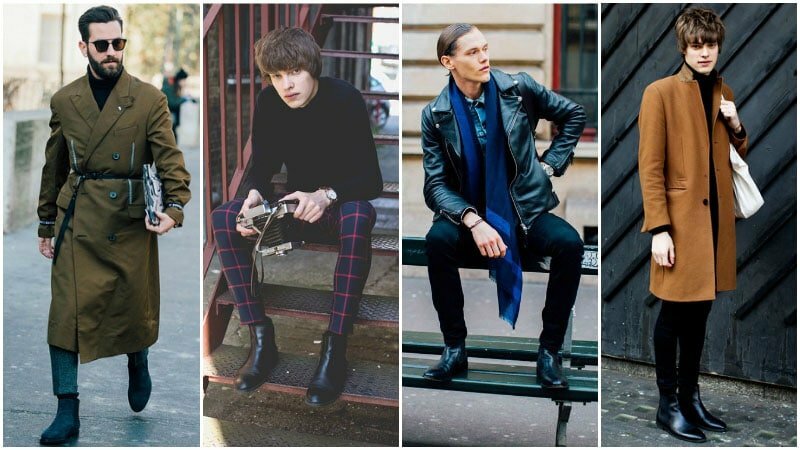 When it comes to rocking Chelsea boots, there are two main styles from which you can choose. The first is the traditional leather Chelsea boot. Thanks to their sleek and smooth aesthetic, leather Chelsea boots appear smart and can easily be worn as dress shoes with many polished outfits. You can even partner the style with a suit for more formal occasions. 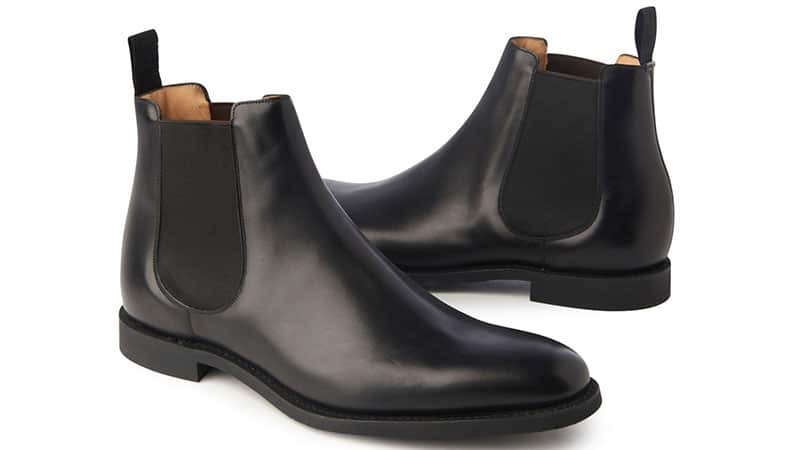 For such times, black leather Chelsea boots will work best. You can also select a polished or patent style for an extra touch of sophistication. On the other hand, brown leather Chelsea boots also make an excellent footwear style and can suit many semi-formal, smart casual, and business casual looks. The second type of Chelsea boots available is the suede variety. Due to their texture, suede Chelsea boots appear more casual than traditional leather styles and can infuse outfits with a relaxed aesthetic. 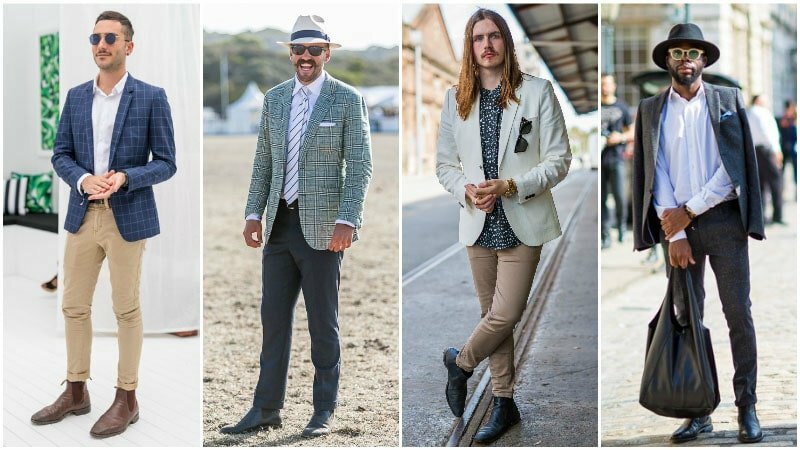 As such, they can seem a little underdressed for formal looks and tend to pair best with casual and smart casual outfits. Like leather Chelsea boots, suede styles are also typically manufactured in classic black and brown shades. When choosing between the colours, keep in mind that black is best for creating an urban outfit and that brown can offer a relaxed country look. Also, as suede shoes can easily get wet and ruined, remember to coat yours with a water-resistant suede protector to keep them looking sharp even during winter. Chelsea boots are extremely versatile and can be successfully worn with both casual and more formal styles. Their straightforward and clean design means that they can complement a range of outfits without clashing or seeming uncoordinated. So, whether you wear them with jeans or a suit, these shoes can look great. Creating a top Chelsea boot outfit comes down to dressing for the occasion and going from there. Whether you’re aiming for a casual, smart casual, business casual or semi-formal look will affect which Chelsea boots you should wear and the items that you should wear with them. Chelsea boots can easily be dressed down for a casual look and can make a stylish alternative to sneakers. While you can wear either leather or suede Chelsea boots for a casual look, the latter will have a more relaxed appearance. In particular, brown suede Chelsea boots project a cool casual look that pairs perfectly with other essential items from your wardrobe. Try wearing a pair with some skinny jeans, a white T-shirt, and denim overshirt for a contemporary weekend look. While Chelsea boots can easily work for casual outfits, they can also suit smart casual styles well. Thanks to their sleek appearance, these boots will help elevate your classic closet pieces to appear more polished. Simple items, such as black jeans, a rollneck sweater, and a double-breasted coat, will all appear seriously suave when worn with Chelsea boots. Although both suede and leather styles can be used to create this smart casual appearance, a black leather pair will be best for achieving a sleek urban vibe. If you think your Chelsea boots are just for after-hours and on the weekend, you should think again. These boots are so versatile that they can also be worn with business casual outfits. The key to achieving the perfect business casual outfit with your boots is to find the right balance. Start by choosing a leather style of boots to keep things sophisticated, but avoid patent options as they may seem overdressed. 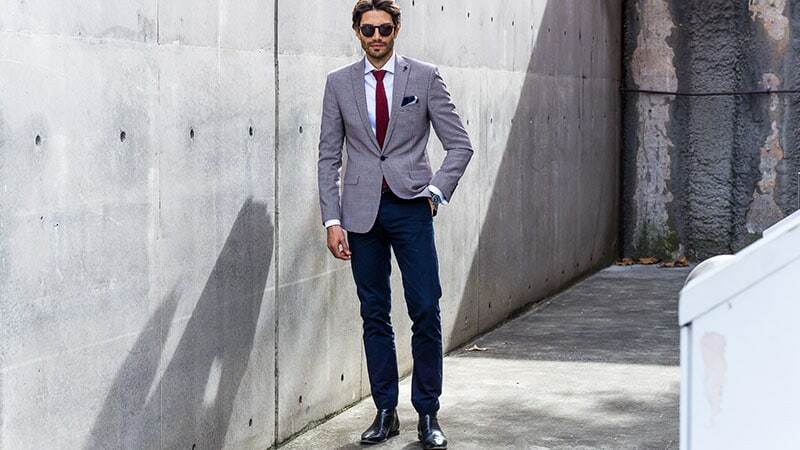 Then, keep things casual yet office-appropriate with some chinos, an oxford shirt, and a blazer. Opting for a check or pattern on your blazer or shirt can also help give your look a smart style. Chelsea boots can make a surprisingly good footwear option for semi-formal occasions. An excellent alternative to Oxford shoes, brogues, and loafers, Chelsea boots can match well with a suit. All you need to do is select the perfect pair. If you’re wearing a black or grey suit, stick to black boots for a formal feel and consistent colour palette. 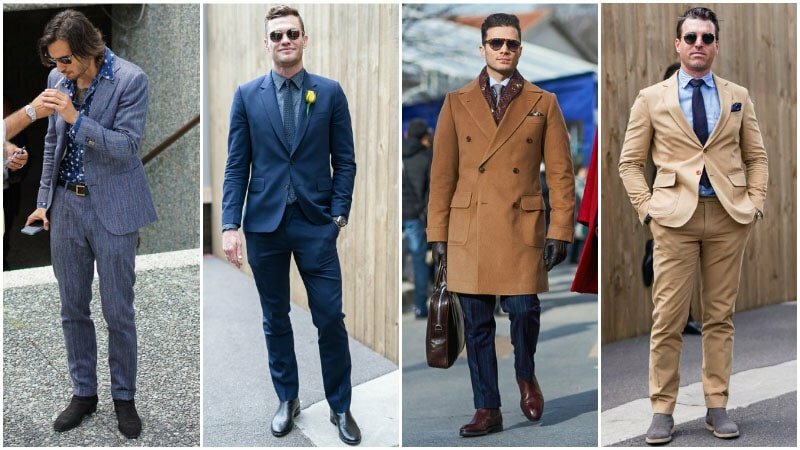 If you’re donning a navy or brown suit, you can choose between both black and brown boots to suit your style. Also, don’t forget to ensure that your trousers fall neatly just over the tops of your boots for a sleek silhouette. 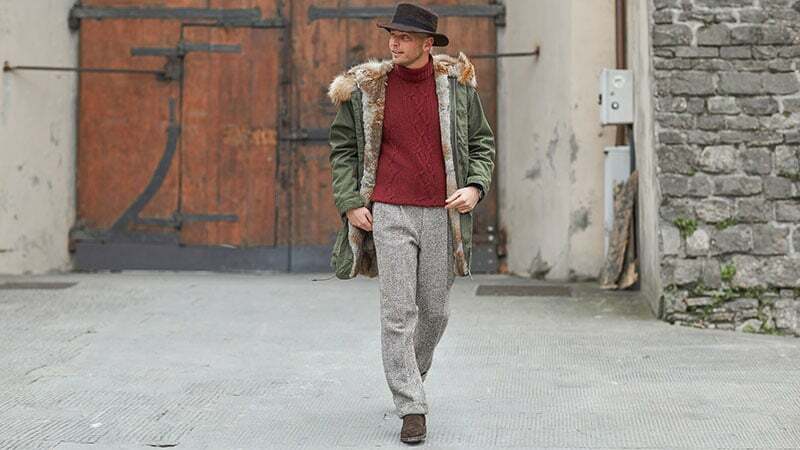 Ensure that the leg of your trouser sits just over the top of your boots. Opt for suede styles for a casual look and leather boots for a smart style. Coat your suede Chelsea boots with a water-resistant spray to keep them looking sharp during any weather. Choose either brown or black Chelsea boots depending on what works best for your outfit. 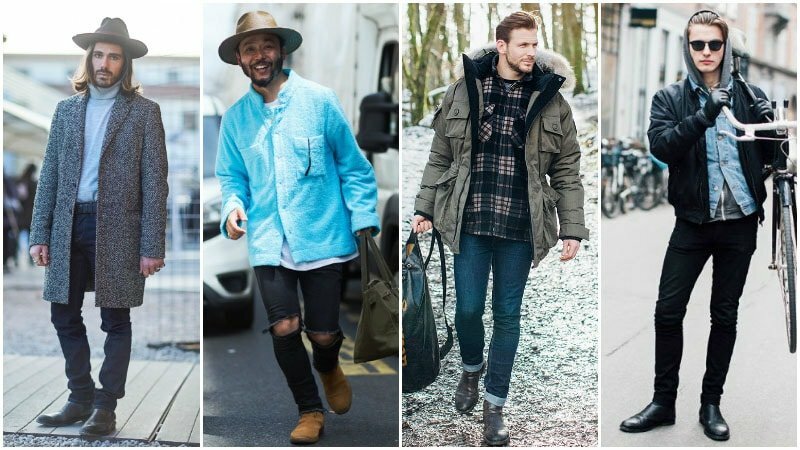 Dress Chelsea boots down with jeans and a T-shirt or up with a suit.